Located across from the present day Waterville Valley ski area, Snow's Mountain was the original lift served ski area in Waterville Valley. The area may have first opened as a rope tow area by Edward Romeo of the Waterville Inn for the 1941-42 season. The area did not operate for the 1942-43 season, likely due to World War II. The tow may have reopened for the 1946-47 season. Ralph Bean likely took over the inn circa 1948, operating a rope tow area that season. A T-Bar was installed at the ski area for the 1952-53 season. An upper mountain T-Bar was installed for the 1959-60 season, reportedly constructed by ski area co-owner Ray Brox. With the Waterville Valley project quickly developing in the mid-1960s, the Waterville Inn ski area was purchased by the Waterville Company. With the new ski area opening across the valley for the 1966-67 season, the smaller area would be known as Snow's Mountain and became a weekend operation. Ralph Bean became part owner of the Waterville Company. In the midst of a snowstorm on the night of February 23, 1967, the Waterville Inn burned to the ground. While non of the 150 skiers staying there were injured, all lost their belongings were put up for the night in the new Waterville Valley ski area base lodge. The Waterville Inn was not rebuilt. In subsequent years, Waterville Valley grew to become one of the most popular areas in the region. For the 1970-71 season, the main T-Bar slope at Snow's Mountain was lighted for night skiing. Due to some tough snow years in the early 1970s as well as aging lifts, Snow's Mountain possibly did not operate for the 1972-73 or 1973-74 seasons. After up to two years of closure, Snow's Mountain reopened for the 1974-75 season with a new Stadeli double chairlift. The investment was seen as a way of providing an area for overflow traffic on busy days at Waterville, as well as offering night skiing. Larger plans called for snowmaking, more lifts, more trails, a larger vertical drop, and a lift connection to downtown. The grandiose scheme was not meant to be and instead Snow's Mountain remained a small, part time ski area. With snowboarding quickly becoming a big sport, Waterville Valley responded by building a half pipe on Snow's Mountain in the 1980s. 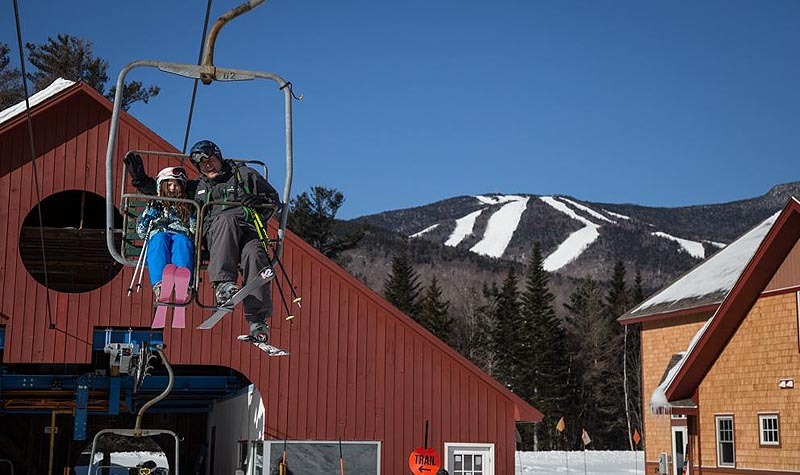 On October 31, 1994, Waterville Valley and Snow's Mountain were purchased by S-K-I Ltd. Snow's Mountain was designated a snowboard-only area for the 1995-96 season, which ended up likely being the final season of alpine snowsports at the facility for some time. After a very short tenure as part of American Skiing Company, Waterville Valley and Snow's Mountain were sold to Booth Creek Ski Holdings, Inc. on on November 27, 1996. In the subsequent decade and a half, the chairlift continued to operate for mountain biking and scenic rides. Meanwhile, houses were constructed on the lower portion of two ski trails. On October 8, 2010, Booth Creek sold Waterville Valley and Snow's Mountain to a group of investors including former Governor John Sununu and future Governor Chris Sununu. 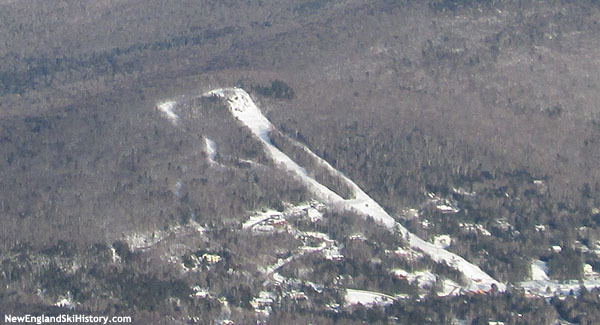 In 2011, Waterville Valley Academy constructed Phil's Hill Bagjump Training Center at the foot of Snow's Mountain, providing year round ski jump training. 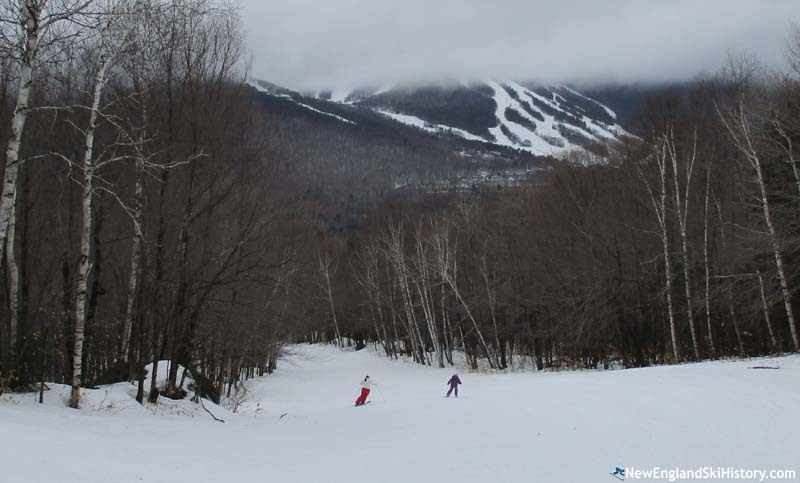 After a few years of ownership, Waterville Valley CEO Chris Sununu became interested in providing Waterville Valley regulars with the chance to ski Snow's Mountain again. After a two decade alpine skiing absence, Snow's Mountain was opened to Waterville Valley season pass holders on February 28, 2015 for one day. Two years later, Snow's Mountain again opened to season pass holders for a day of skiing. "Mom's sister was Grace Bean, of Waterville Valley. It is suggested by the family that Ray Brox designed and put up the chairlift."